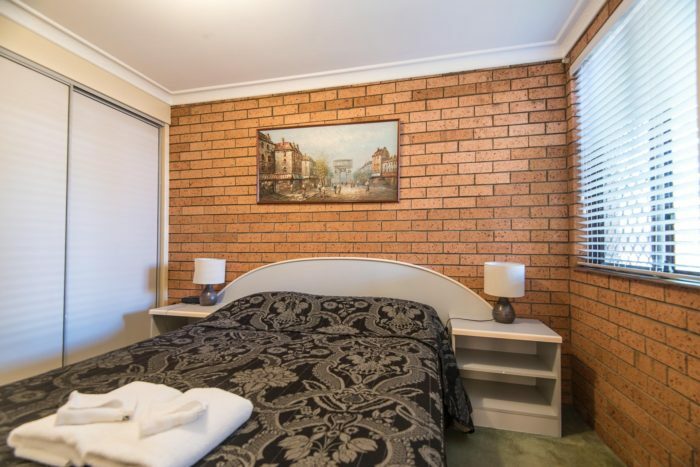 Perfect for large groups, families, companies and travelling staff, our 2 and 3 Bedroom Apartment Style Rooms offer attractive accommodation at affordable prices. With a well-appointed kitchen, a spacious lounge, effective heating, and many other homely comforts, an Estelle Kramer Apartment combines luxury with value. All Apartments provide full undercover parking for two vehicles. Standard inclusions: Lounge, table, bar fridge, microwave, tea/coffee-making facilities, kitchen with cooking facilities, separate bathroom, ironing facilities, TV, Wireless Broadband, silent water heating, air-conditioner, and private verandah overlooking the churches.